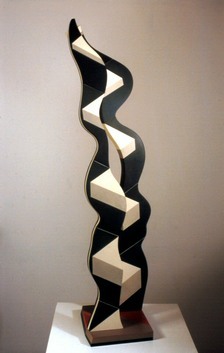 In the 1990’s I worked on several groups of optical sectional sculptures. These were made on themes of linear polarity and optical ambiguity. The finishes were necessarily very precise as a way of maximising the single focus of the works.